Solid indoor plumbing is something we can all rely upon. A good, working plumbing installation is one which can be used throughout daily life. Consider where you would be without a flushing toilet, a draining sink or working faucets! It’s, therefore, a good idea to have a healthy knowledge of what goes into basic plumbing networks. It’s an even better idea to know who to call if you ever experience any common plumbing emergencies! In this article, we will explore plumbing terms and general plumbing basics. In the coming weeks, we will look into various problems and issues homeowners, commercial services and realtors may experience. Consider this guide as a first look at what to expect from your indoor plumbing network. 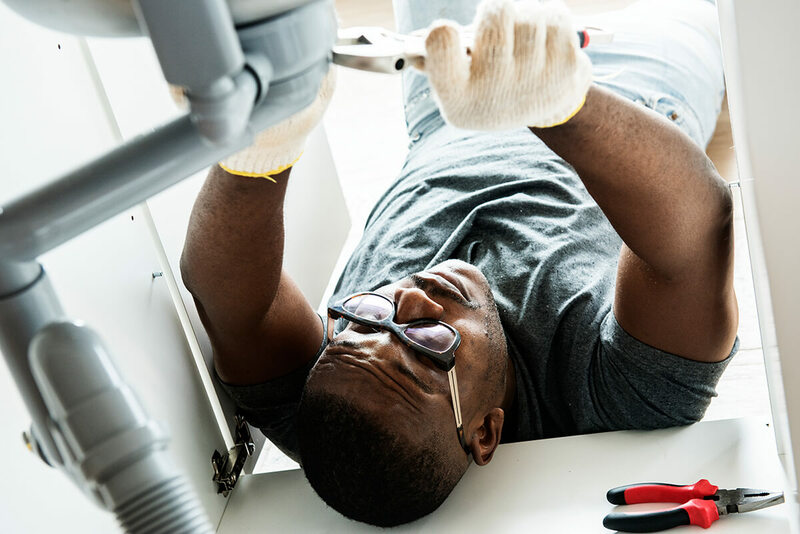 If you’d like to know more about common plumbing mistakes and quick fixes, here are some plumbing tips for homeowners and more! One which flushes waste water away. Therefore, it’s always important to ensure your indoor pipes and valves are still in top condition. A busted pipe or blockage could mean the difference between you receiving fresh water and not at all. What’s more, some emergencies could see pipes exploding and flooding your home if not taken care of quickly enough! In such circumstances, the best course of action to take is always to close your home’s primary shutoff valve. That will stop water from flowing into your home. Ultimately, drainage pipes are able to remove waste from your home due to their downward angle. Essentially, gravity does much of the work. In most mainland households, public sewerage provides immense convenience. Simply flush and go! However, there are still plenty of common plumbing mistakes people can often make. When looking carefully at household drainage, you will come across a variety of different traps. In a plumbing context, a trap is essentially a bend in the plumbing flow. A common trap is your toilet’s u-bend, for example. Traps contain a certain level of water to prevent smells and gas from entering your home from the sewer. Kitchen traps, too, can be used to collect grease and prevent clogs. Therefore, unclogging a sink or bathtub can be as simple as attending to your trap. You can, of course, also unclog your traps and drainage by use bicarbonate of soda or store-bought chemicals. In any case, it is a good idea to try and practice home remedies before seeking emergency assistance. Whether you own your property outright or are running an enterprise dependent upon interior plumbing, it’s important to understand where your responsibilities lie. In some cases, responsibility for your plumbing and drainage will be yours alone if emanating from within a property. However, in some states, you may be responsible for additional concerns. For example, if you have a septic tank on your property, it is your responsibility to ensure that it is emptied. Septic tanks which are not emptied can pose public health risks. Many homeowners prefer sewer drainage for convenience on a number of different levels. If you are concerned about whether or not drainage is your responsibility, consult your local water and sewerage provider. 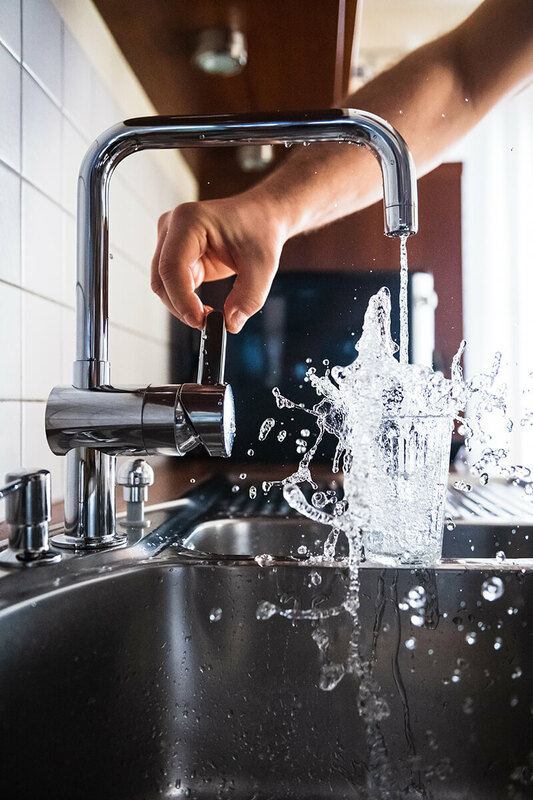 Before calling an emergency plumber or sewage specialist, it’s a good idea to consider some of the more common plumbing concerns which may arise from time to time. It’s also good practice to know what to do! Dripping taps are, of course, very common. These problems can generally be remedied with the tightening up of certain pipes. Before you take a wrench to a problem, always turn off your intake valve! Toilet clogs, too, are more common than you may think. Depending upon the type of system you run, you may be able to attend to simple problems with a plunger. Creating a vacuum can effectively solve many blockage problems further down. There are also store-bought blockage products which can be deposited. 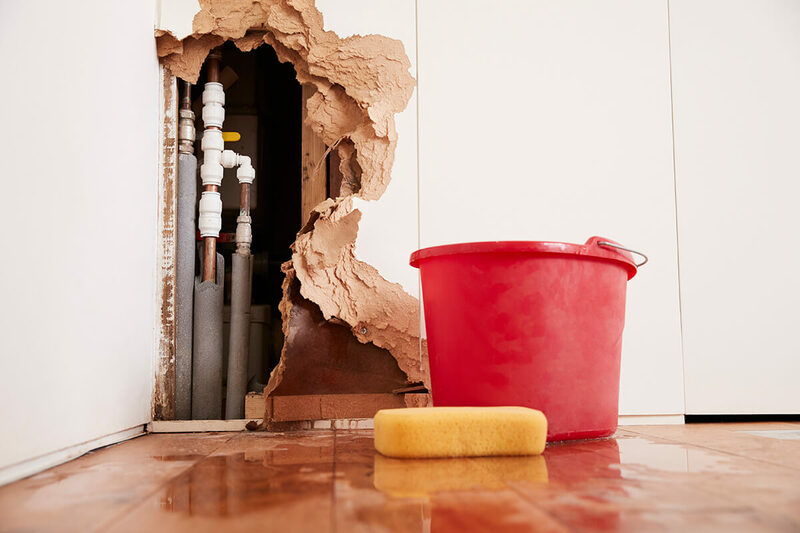 Leaking pipes can be a nuisance. Many of these can be simply patched up with appropriate tape or glue; however, it is always worth consulting a professional. In any case, again, consider your intake valve. Radiator problems are common, too. If you are running a simple central heating system, ineffective radiators could be causing issues as a result of a need for bleeding. Let off excess water from your radiator units with an Allen key. Water pressure can also provide homeowners with plenty of headaches. While this is an issue mainly affecting older homes, it is still something which can require immediate attention. Low water pressure could be occurring as a result of leaking pipes or loose fittings. It’s always worth running a thorough check. If you are concerned about any plumbing or drainage issues, you may be experiencing within your property, always consult an expert. There are many home remedies which will likely resolve the most common problems. However, an expert’s advice can make all the difference. Checks for cesspools. Cesspools may not be a modern fixture by any means! They were installed in the event of a home being unable to connect to a city sewer directly. In the event of public sewers becoming more widespread, the need for cesspits dwindled. As such, a sewer line inspection can help to remove the need for such a feature. Similar checks for Orangeburg pipes. Once again, these are outdated systems in place which date back to the 1950s. Due to their age, they can completely disintegrate if still under heavy use. A home still using Orangeburg pipes should consider a complete sewer line replacement. One of the most common reasons why sewer lines should be inspected at all is down to the presence of tree roots. Roots have a habit of growing into lines and expanding, causing all manner of blockages and issues further down the line. Excavation of a line may be the best option here, though some roots can be killed with the right chemicals. If you are unsure whether or not your drainage setup requires a thorough sewer inspection, it is always worth asking the opinion of an expert, especially in the event of an emergency. Sewer line inspections can make a world of difference for home sales and developments, meaning it is always worth considering an inspection. It could also save you thousands of dollars in the long run. Many plumbing and drainage problems can be easily attended to and remedied within the home. However, there may be some jobs and problems which require an expert’s touch. In the event of an emergency, it is always handy to have a plumber or sewer drain specialist on hand to be able to help you. Preventive measures are also highly recommended for new buyers and property developers, too. New Flow Plumbing are sewer drain inspectors and line experts who will investigate any problems or issues you may be having with regular drainage. Whether you are struggling to flush away waste from your own home or are in the process of selling a property, a sewer line inspection is an absolute must. Even if all other options have been exhausted, we are here to help you find that final, effective solution. Call our specialist team today on (818) 538-4958 to learn more. Contact us to request for a quote and read more about plumbing information from our blog!